The hospitals in 15 states were allegedly charging for implanting cardioverter defibrillators, or ICDs, in patients who weren’t supposed to receive them under certain rules. An ICD functions similarly to an external defibrillator, delivering a shock to the patient’s heart when an abnormal heart rhythm is detected. The difference is that the ICD is small enough to be implanted in the chest, near the heart. Only patients who have specific health characteristics and risk factors are eligible for ICD reimbursement under Medicare rules. Each pocket-watch-sized device costs about $25,000. A Medicare National Coverage Determination (NCD) states that the implantation of ICDs should not occur until 40 days after a heart attack and 90 days after a bypass or angioplasty. The purpose of the waiting period is to give the heart the chance to get better on its own, thus eliminating the need for an ICD. In this case, the Department of Justice alleged that the hospitals in question implanted ICDs between 2003 and 2010 before the waiting period of 40 or 90 days was up. Dignity Health, San Francisco, and its 18 affiliates ($5.9 million). Monongalia County General Hospital, Morgantown, WV ($4.8 million). Northwell Health Inc., New York, and its six affiliates ($2.5 million). Sentara Healthcare, Norfolk, Virginia, and its seven affiliates ($2.1 million). The settlements were part of an investigation into hundreds of hospitals suspected of improperly billing Medicare for ICDs. 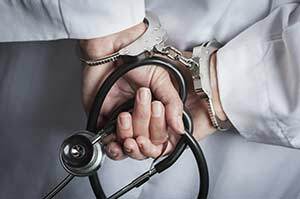 To date, the Department of Justice’s (DOJ) investigation has resulted in payments amounting to more than $280 million and involving over 500 hospitals. The DOJ declared that the settlements were only allegations and did not determine liability on the part of the named hospitals.